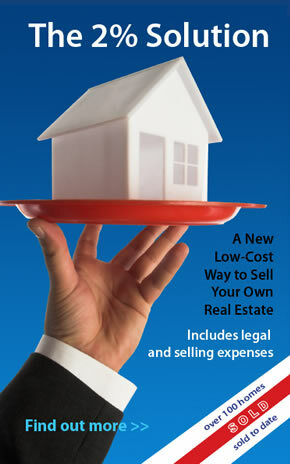 Propertyshop.ca® is an Internet-based real estate listing service for property owners who want to sell it themselves. We help you advertise your property effectively and through our member lawyers provide the legal assistance to complete the transaction. This can result in a cost-savings of thousands of dollars. Propertyshop.ca is an Internet-based real estate listing service for property owners who want to sell it themselves. Propertyshop.ca services are only available through licensed real estate lawyers and are legally allowed to assist clients in real estate transactions. We provide both a cost-effective means to advertise your property and the legal expertise to assist you throughout the process. Your Propertyshop.ca lawyer will help you negotiate an Agreement of Purchase & Sale and advise you on the many legal issues involved in the sale or purchase of a property. Selling real estate can be a complicated business and requires the expertise of a lawyer. In Ontario, a lawyer must be involved in every real estate deal so it only makes sense to bring your lawyer into the process from the very beginning. Your Propertyshop lawyer is there to help you throughout the listing process, negotiations and legal work required to sell your property for a single low-cost fee. All costs are discussed with your Propertyshop lawyer in advance - there are no surprise fees and unexpected charges. Your Propertyshop web site listing offers potential buyers a comprehensive description of your property in an easy-to-read, concise format. We provide you plenty of space to list all of the important features and describe it in a way that will get interest. You can include up to twelve photos, list all room sizes and include a Google map link for easy location. Your listing includes contact information including phone number and email address. Alternatively, you can direct all calls to your Propertyshop lawyer who will be able to help you screen calls. By providing a complete property description, audio recording and photos we reduce the number of nuisance calls you receive. This additional services provides nation-wide exposure of your property for sale on the Realtor.ca ® web site. Propertyshop provides you access to this service using our intermediary HomeLife Unlimited Connections Realty Ltd. - members of the Canadian Real Estate Association. We provide you with an attention-getting 24" x 36" lawn sign and holder with optional directional indicators and price panel. Some sellers prefer not to list the price on the street so we leave the decision up to you. The Propertyshop street sign includes your unique listing number and an 888 long-distance toll-free phone number. Potential buyers can call this phone number and enter the property ID # to hear a pre-recorded message describing the features of your property. If interested, buyers can leave their own message in you voice mailbox which you can check at anytime. Think of it as a 24-hour-a-day , 7-days-a-week sales agent. There are some basis things you need to do as the seller in order to list your property with Propertyshop. In some of these duties you are acting as your own real estate agent. If sounds a little daunting, remember, you are saving yourself thousands of dollars inn commissions. With Propertyshop you don't go it alone, we help you throughout the selling process. Once you decide to list your property, simply call one of our member lawyers located in your area. They will provide you with our easy-to-use property information guide makes sure you include all the details. They will explain the services they will provide and the associated costs. When you have completed your questionnaire, it is returned to your Propertyshop lawyer who will review it and check for accuracy. Property-owners normally take their own photographs and provide them when they submit their completed questionnaire. If you are unable to take photographs, your Propertyshop will assist you with this service which my involve the use of a professional photographer for which there will be a fee. It is important to remember how important photographs are to your listing. Great photos can really enhance saleability. Once your questionnaire has been completed it is sent directly to Propertyshop's head office where it is entered on our system, typically within 48 hours. Your photos are also submitted at this time and processed by us. After your Propertyshop lawyer has reviews the completed listing and approves it, it will be available publicly. At this time a voice-recording describing your property will be entered on our voice mail system. Next, your For Sale sign will be either shipped directly to you or will be available for pickup at the office of your Propertyshop lawyer. If needed they will provide you with a heavy-duty step-stake for mounting. If you have chosen to have your listing to appear on Realtor.ca ® it will be sent to our affiliate HomeLife Unlimited Connections Realty Ltd. Brokerage where it will again be checked and entered on that site. Now that your property is listed your job is to answer inquiries, show the property and arrange and manage an open house if you choose to do so. If you are not able to to act as your own agent in this way, let your Propertyshop lawyer know and they will assist you. If you have questions regarding your listing, wish to modify your listing or receive an offer contact your Propertyshop lawyer for help. When you receive an offer they will prepare the Agreement of Purchase and Sale and assist you with negotiations. Most importantly, they are working on your behalf and make sure all legal requirements are properly completed. The trademarks, MLS® system databases, REALTOR®, REALTORS® and the REALTOR® logo are controlled by The Canadian Real Estate Association (CREA) and identify real estate professionals who are members of CREA. Used under license.